Yep, had mine on the top of the bar for over 2 years now through Vic, NSW, Qld and SA. Multiple RBT's and opportunities to for them to say remove it, but they just ignore it. I think the attitude of the driver has a lot to go along with it too. 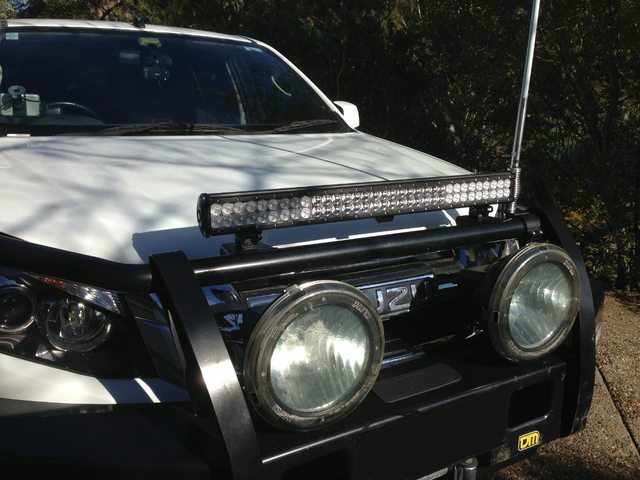 Great Build, your ute is sexxxxxy! Looking good. Whats next on the never ending list ? Been tossing up bout building a tray. Other than that I don't really need anything else. Engine mods are more of a want item. Id really like to set up some dual batteries. I sent a PM to you re, dual battery stuff. Yes dual batt is a nice addition. Most of my mods are really wants rather than need But all need toys. Didn't you want to take the max to the cape ? This is my first d/c with a tray have always had tubs, some of the things so much better but some downsides as well. Look forward to hearing about your cape run. Cape will rattle it to death. Parts harder to get there etc. Few reasons.